Human Resource careers were created based on need. In a nutshell, throughout time, companies began to realize that the happier their crews were, the better they worked. So, human resources as we know it evolved from personnel management dating back to the early 18th century. They’ve come a long way, baby. Now, careers in Human Resource are sought after and fairly lucrative. Let’s take a look at what’s involved when it comes to Human Resource Management careers, shall we? HUMAN RESOURCE MANAGEMENT: WHAT THE HECK IS IT? It’s really quite simple, actually. The Human Resource Management (HRM) recruits, manages and directs employees of a company or corporation. They are the middle guy (or gal) between the higher ups and company employees. An employee advocate, if you will. They also are part of the strategic planning of the daily operations and beyond. 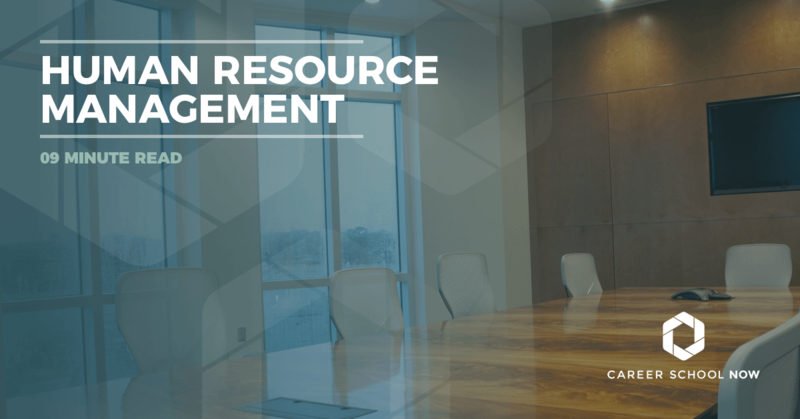 Because the HRM works so closely with employees, they need to know their way around all the rules of human resources, such as training, development, compensation, and benefits, as well as recruitment and selecting the best candidates for the open positions. HRM’s need to be well versed in laws such as Equal Employment Opportunity, Family and Medical Leave Act, workers comp, and more. And, they need to know how to keep in compliance with all the various acts and laws. Not only do the HRM’s protect the employees, but they have to balance the protection of the company, as well. Human Resource Managers do a lot. As in, a ton of duties falls onto their desks on any given day. Now’s an excellent time for a list, and prepare yourself, it’s a long one because anything to do with people and process is delegated to the capable hands of the HRM. This isn’t a full list, and companies may have different expectations of their HR but, with that being said, these are fairly typical job duties. WOULD IT BE A GOOD CAREER TO GO INTO? Well, the answer to that question is: It depends on whether you’re a good fit for the career. Human Resource Management can be equal parts exciting and maddening. After all, as the HRM, you’re charged with a lot of responsibility, and success is dependent on whether or not you have the right personality and skills for what’s expected of you. You’ll have both the management and employees to deal with for both the good and bad stuff that goes on within a company. Sure, you’ll be helping with the hiring and bringing on amazing individuals who will take the work to the next level. But, you may have to fire someone you really liked, as well. And, not everyone can diplomatically and, without emotion, tell another person that they are going to be unemployed. It’s a tough corner to be in. Human Resource Managers play a huge part in creating company culture by initiating programs that motivate employees. And, motivated employees are productive employees who, in turn, is fantastic for the company’s bottom line. However, you’ll also be the go-to for issues that may not even pertain to human resources. You may have to deal with a whole lot of nonsense that leads to piles of paperwork. Bureaucracy. Reality is, any job is what you make of it. And, if becoming a Human Resource Manager seems like a perfect fit for your personality, then it would be a great career move for you. WHAT TYPE OF PERSONALITY FITS THE JOB? An HRM needs to remain impartial and objective. Much of your HR work has to be with the thought of what’s good for the company, not just because it’s something you’d like to see or someone you’d like to hire. An HRM needs to be extremely trustworthy. You’ll be in possession of highly classified information. And, you’re being trusted with keeping the company as a priority. Gossips, backstabbers, and social climbers need not apply. An HRM needs to be able to meet challenges head-on. From a faulty paycheck to a lawsuit, you’ll need to know how to appropriately and efficiently handle any type of situation that arises. The good, the bad, and the ugly—it’s all going to fall on you. An HRM needs to be in a constant state of self-development. Rules are always changing, and as an HRM, you need to be aware of these changes and knowledgeable enough to understand how to make them fit. Be up on new trends, laws, and technology. An HRM needs to be innovative. Coming up with new and compelling ideas that solve problems is not only one of HRM’s duties but also a personality trait. Creative, outside of the box thinking is essential to the role. An HRM needs to be approachable. You’ll be working with humans as the designated go-to person. Management and employees need to feel they are welcome, and it’s up to you to make them feel that way. An HRM needs to be decisive. They are company decision makers when it has to do with staff and and company operations. Whether you’ll need to make a snap decision and hope it was the right one, or a long, thought-out decision-making process, you just need to be able to decide. And stick with your decision. Unless, of course, it’s the wrong one. IS IT AN IMPORTANT POSITION? Some people might say that Human Resource Managers are the equivalent to company police or a planted spy, reporting employee going-ons to management. However, this couldn’t be further from the truth. Human Resource Managers are a vital part of the team. Every single aspect of their job can help regulate the climate of the workplace which dictates the overall morale. Companies of all sizes and shapes benefit from their HRM. So, the answer is a resounding yes, the position of HRM is highly important. Mostly, you’ll find HRM’s working in a wide variety of office-type environments across industries. Companies and enterprises are amongst the largest employers of Human Resource Managers, semi-closely followed by manufacturing companies. They mostly work the typical 9-5 workday, but overtime does occur more than occasionally. Some travel may be involved, for such events as conferences. And, companies with multiple locations may require you to jump around a bit, as well. IF I WANTED TO GO INTO HR, HOW WOULD I? Unfortunately, you can’t just wake up one day, stretch, have coffee, and decide you’re going to find a job as a human resource manager. It doesn’t work that way. Human resource managers are the result of a combination of education and experience. It takes awhile to achieve HR success. There are a specific set of steps you’ll have to take to find yourself in the career of HRM. You’ll need a Bachelor’s Degree. And, that’s the bare minimum. You’ll need to go through the business or management school of your chosen university or college. There are programs specific to human resource to consider. However, majoring in finance, business administration, education, or information technology are certainly just as viable options. Higher level jobs may require a master’s degree in labor relations, human relations, or business administration (MBA). If the program you’re in offers an internship, take it! It only adds to your experience and looks great on your resume. Once you’ve completed your degree, you’ll need to start building up your work skills. You’re now prepared for entry-level positions such as a human resource assistant or labor relations assistant. These positions will help finesse your organization, leadership, and directing abilities. You may be responsible for helping to keep employee benefit records, compensation, and performance. Usually after five years, you’ve gained enough of the proper skillset to start working as a Human Resource Manager. So, it’s now time to move up to the career you’ve worked hard to achieve. Certifications are available, and they are entirely voluntary. However, many potential employers do prefer their HRM to have some certifications, so it doesn’t hurt to add them to your repertoire. The Society For Human Resource Management (SHRM), Human Resource Certification Institute (HRCI), and WorldAtWork are just a few organizations offering certifications that are well thought of in the industry. And, depending on how specialized you want to get, there are other bodies providing specialty certification in areas such as workers compensation, risk management, workforce planning and employment, and group benefits. The cost for your education will depend on whether you go to a college or university that is in-state, out-of-state, private, or public. Expect the average yearly tuition cost to range between $11,000-$60,000, that’s including fees, books, and supplies. The Bureau of Labor Statistics reports that the median annual salary for Human Resource Managers is $110K. Entry level HRM’s will make around $63K, while more experienced in the industry will earn over $197K on average. At the beginning of a HRM’s career, most will start out as a Human Resource Assistant. Their average salary is roughly $38K per year, while Human Resource Specialists make close to $58,000 on average. WILL THERE BE JOBS AVAILABLE? Industry growth will be around 9% through 2026, which is right in line with the average for most other occupations. That’s not to say it’s going to be rough finding a job, though. However, there will be stiff competition for the available positions, so it might be a good idea to have a master’s degree along with certifications. This should make you stand out in the crowd. To become a Human Resource Manager, you do have to climb your way up a ladder filled with human resource rungs. But, each step supplies you with the experience that is so necessary to be successful when you get to the top. Just remember, with great power comes equally great responsibility. Never let that tarnish the pivotal role you play within the company.